If you are not the first one to approach this subject, someone else will. Are you going to trust your kids future to their friends? God has blessed you with kids, and it’s your responsibility to lead them in his way. Dads, I think it is time we create downtime no matter where we are! Turn off the phones, put away the computers, unplug the television! Shoot, go to the panel box and turn off all the breakers. 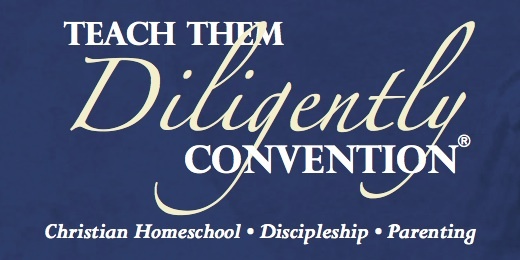 So you now have absolutely no excuse on not being able to make it to some place in the Southeast next year for the greatest homeschool convention there is. What Was The Most Terrifying Part of Becoming a Homeschool Father? Now the wife was the one with the research, the asking, the education in education, the desire, and want to do this. I was merely the finical representative. I was completely unaware of what or how to do anything. The real thing is scary! Yet there was one place in Georgia that was not happy to see the real thing. Outdoor Fun, Random, WHAT IS THIS? Steph P on What Happened to Modesty? The Husband of a Homeschooling Mom on What Happened to Modesty? V on What Happened to Modesty?